Dr. Joline Abrahams is a recognized pathologist in Palm Springs, California. She received her medical diploma from Loma Linda University School of Medicine in 1994. 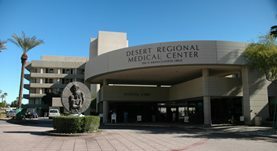 Dr. Abrahams completed her medical education with a residency in anatomic and clinical pathology at Loma Linda University, a residency in anatomic and clinical pathology at the University of Southern California – LAC+USC Medical Center and a fellowship in surgical pathology in the Department of Pathology at Los Angeles County-USC Medical Center. She is certified by the American Board in Anatomic Pathology & Clinical Pathology. Her subspecialty is general pathology. Dr. Abrahams works at Desert Regional Medical Center and is a member of the American Society of Clinical Pathologists.